In 2009, Paolo Zamboni, MD, of the University of Ferrara in Italy, put forth the theory that an abnormality in blood drainage from the brain and spinal cord, known as chronic cerebrospinal venous insufficiency (CCSVI), contributes to nervous system damage in people with multiple sclerosis (MS). Zamboni suggested if the link between MS and CCSVI could be confirmed, it might be treated with balloon angioplasty in the veins in the neck. Many MS patients, anxious for an effective treatment, have embraced the idea and demanded the procedure even though the research is ongoing and no definitive full-scale clinical trials have been completed. However, some interventional radiologists have agreed to use angioplasty and stents off label to open neck veins in patients with MS.
At the Society of Interventional Radiology’s (SIR) annual meeting in March, Meridith J. Englander, MD, an interventional radiologist at Albany Medical Center in upstate New York, gained attention for the procedure when, at a press conference, she presented anecdotal evidence of how it provided relief for MS symptoms in a female patient. Englander reported that her patient could barely walk and was using a cane before undergoing stenting for CCSVI. Three months later, Englander said, she was not only walking without a cane but also wearing high heels. Hector Ferral, MD, an interventional radiologist with NorthShore University HealthSystem in Evanston, Illinois, also presented data on the treatment at the annual meeting. Ferral was the lead investigator in a study that reviewed 105 angioplasty treatments in 94 MS patients aged 26 to 67. The patients’ jugular and azygos veins were evaluated with selective venography and intravascular ultrasound. Angioplasty was performed if the imaging confirmed vein reflux, or a greater than 50% narrowing in the vessel’s diameter. If necessary, stents were then used to treat nonresponsive lesions or blockages. All patients received blood-thinning medications for six weeks after the treatment. The researchers reported symptomatic improvement in 55% of patients; 38% reported no improvement. The remaining 7% did not comply with their follow-up visits and were considered lost. Close to 60% of patients with the relapsing-remitting form of MS reported improvement in symptoms. “These early results show that performing angioplasty on azygos and jugular vein lesions may have a positive impact on the symptoms of those individuals with MS and also could be an effective palliative treatment geared toward improving their quality of life,” Ferral said. But clinical trials have not vetted the treatment and concerns about it have also surfaced. On May 10, not long after the data were presented at SIR, the FDA warned healthcare professionals and MS patients about the potential dangers of balloon angioplasty to treat CCSVI. Michelle Bolek, an FDA spokesperson, said the agency issued the safety communication after receiving two reports of adverse effects last year. “The FDA received reports of one patient who died from bleeding in the brain and one patient who suffered permanent paralysis from a stroke after CCSVI treatment,” she said. In addition, serious complications from the CCSVI procedure have been reported in medical journals, Bolek noted. Those complications include at least one death; stents migrating from their original location to the ear or other parts of the body; venous injury; blood clots forming in the jugular vein, stents, or a vein in the brain; cranial nerve damage; and abdominal bleeding. “The frequency of these serious complications is not known,” Bolek said. The FDA issued the safety communication because it is concerned that the promotion of experimental procedures as a treatment for MS might lead people with the disease to make treatment decisions without being aware of the serious risks involved, according to Bolek. Also, the communication is intended to notify physicians and clinical investigators planning or conducting clinical trials using medical devices to treat CCSVI that they must comply with FDA regulations for investigational devices, she said. At the same time, the FDA encourages continued research to evaluate the relationship between CCSVI and MS and characterize the safety and effectiveness of the interventional treatment procedures in MS patients, Bolek explained. The National Multiple Sclerosis Society and SIR are in full agreement with the FDA’s position on the issue and expect that researchers and patients will heed the communication. Timothy Coetzee, PhD, chief research officer for the National Multiple Sclerosis Society, pointed out the FDA communication is technically not a warning but a safety briefing. Nonetheless, he said, the society welcomes it. “We support the FDA’s effort to really clarify and provide up-to-date information for people with MS and healthcare providers so that they can make informed treatment decisions around this,” he said. Coetzee said the FDA is simply clarifying how it views the use of stents in CCSVI “and laying out clear guidelines for interventional radiologists who may be pursuing research in this area.” The FDA is not attempting to regulate the practice of medicine, Coetzee said. “That’s not something that the FDA does.” Rather, it is alerting patients to the issues they should consider when thinking about undergoing treatment for CCSVI, he said. The National Multiple Sclerosis Society, in collaboration with the Multiple Sclerosis Society of Canada, is funding seven studies looking at the link between CCSVI and MS. The carefully controlled studies, as well as others working in this area, “should help us increase our understanding of the possible link and of the possible intervention that could help patients with MS,” Coetzee said. As a group, he said, MS patients are highly informed and proactive, so it’s not surprising that many would be interested in a procedure that, though based on little evidence to date, has still been reported to help some people relieve symptoms. Plus, MS is a disease that is fairly prevalent—400,000 in the United States and 2.1 million people worldwide have the condition, which is caused by the destruction of the myelin insulation of nerve fibers in the central nervous system. As the disease progresses, symptoms can be debilitating, affecting movement, sensation, and bodily functions. Because there are a significant number of people with MS who have not experienced benefits from existing therapies, patients can’t help but be enthusiastic when a new treatment seems promising, Coetzee said. 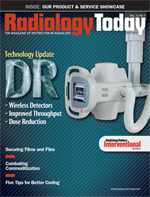 Like Coetzee, Marshall Hicks, MD, head of the division of diagnostic imaging at MD Anderson Cancer Center in Houston and president of SIR, says the FDA is right to encourage more rigorously constructed, properly targeted research on the relationship between CCSVI and MS before more patients undergo the procedure. “The FDA is being cautious, and appropriately so, in stressing that researchers need to follow the rules,” he said. The studies reported to date, including those at the SIR meeting, have been single-center retrospective series, Hicks says. “While most of the initial studies have found the risks are very low, there have been several significant complications,” he says. “The FDA is correct in stressing that patients need to be provided appropriate information about the off-label use of these devices and to discuss and understand the potential risks with their physician” before consenting to undergo an angioplasty. Because there have been scattered reports of complications, patients need to be made aware of the risks and more research needs to be done, Hicks says. “Given the evidence thus far and the limited research, we’re advocating that patients who want to have it done consider participating in a clinical trial where it can be really evaluated properly,” he says. • There is no clear diagnostic evidence that CCSVI exists as a distinct clinical disorder or is linked to MS.
• Venous stenoses seen on imaging tests may be normal variants that do not cause any symptoms or disease, as they are sometimes seen in healthy people. • The safety and effectiveness of using balloon angioplasty devices or stents in the internal jugular or azygos veins have not been established for any clinical condition nor has the FDA approved the use of these devices in these veins. • There is no clear scientific evidence that the treatment of internal jugular or azygos venous stenosis is safe in MS patients, impacts the symptoms of MS, changes the overall course of MS, or improves the quality of life for MS patients. • It is possible that stent placement can worsen any venous narrowing because further narrowing has been shown to sometimes occur within stents placed in veins due to the body’s response to the implant. The FDA encourages patients who are considering participating in a clinical trial for CCSVI to learn as much as possible about the trial and ask their healthcare team to explain anything they don’t understand. The FDA also encourages physicians and healthcare providers to inform patients of the concerns and file reports through MedWatch, the FDA Safety Information and Adverse Event Reporting Program, if patients experience any complications following CCSVI treatment. Bolek says the FDA will continue to monitor adverse events related to medical devices commonly used in CCSVI treatment and could communicate again on the situation as more information becomes available. Hicks says he expects the procedure will generate much more interest as the research continues. He couldn’t offer a timeline for when clear study results may become available.